The serial comma is the final comma before a conjunction (and, or, . . .) in a series. Its omission can result in confusion at worst or humor at best. That’s why most style guides prefer it. Here is an example of a humorous need for it (after the name Kristofferson). 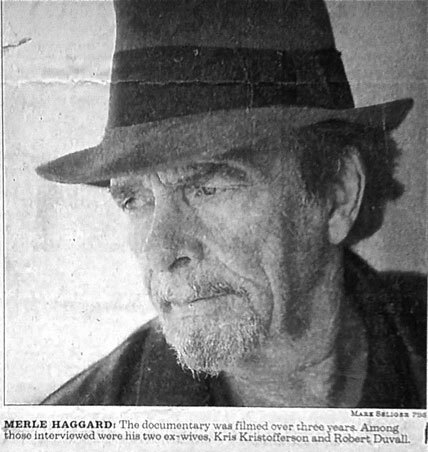 MERLE HAGGARD: The documentary was filmed over three years. Among those interviewed were his two ex-wives, Kris Kristofferson and Robert Duvall. With those two ex-wives, I understand why Merle looks so Haggard. This entry was posted on January 8, 2011, 4:51 pm and is filed under Grammar Commentary, Grammar Humor, Grammar Tips, Uncategorized. You can follow any responses to this entry through RSS 2.0. You can leave a response, or trackback from your own site.